Welcome, I am a Talcott Broadhead, a transgender, professional Social Worker with a strong commitment to reducing oppression and implementing social justice. My pronouns are they, them and their. I hold a Master of Social Work degree from the University of Washington School of Social Work. I completed a Bachelor’s degree at Bard College at Simon’s Rock with a dual major in Intercultural Studies and Linguistics with a course of study in Linguistics at S.O.A.S, University of London. 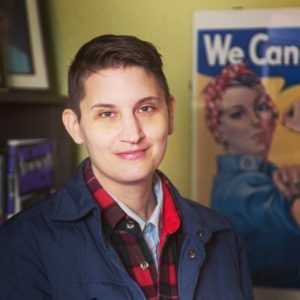 I have nearly fifteen years of experience providing Transgender Liberation and anti-bias focused advocacy, therapy, training, and education to a variety of clientele and audiences. I am a Professor of Psychology, History and Transgender Studies and I am passionate about creating Liberating spaces and carving out access with and for those who are impacted by oppression.